All merchandise returned to us must be unworn and unused with its original tags attached and all bags, boxes, packaging, etc. included. Items with signs of tag tampering or without tags will be considered used and will not be processed. Please allow 5-10 days for us to process your return. Items are eligible for a full refund or exchange within 15 days of shipment from us. After 15 days, the sale is final and anything returned will be rejected. Money will be refunded to the credit card or payment method that you used to pay for the item. You may exchange items within 30 days of purchase. Exchanged items will ship for free. 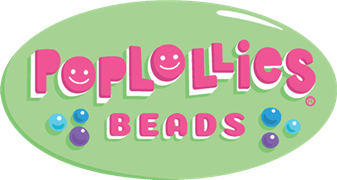 Please email us at owner@poplolliesboutique.com if you believe you have a defective item. Your defective item(s) will be replaced if contact was made within 15 days after receiving your order. Defective items must be returned unused, with tags and packaging in place. After 15 days, you must ship back items at your own expense. If we do not receive your defective item within 30 days of when first contact was made the sale is final and anything returned will be rejected. Once contact is made we will issue you a return label to ship back your defective item. If you have a defective bead or beads, please contact us and we will replace the bead.